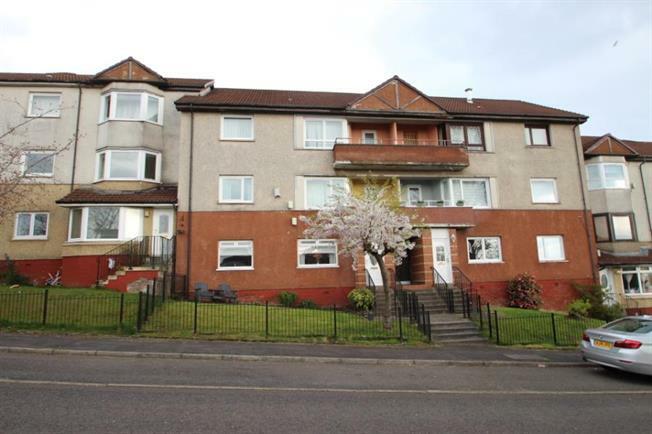 2 Bedroom Upper Floor Flat For Sale in Glasgow for Offers Over £55,000. Offering ideal accommodation for today's young couples, first time buyers or buy to let investors alike, this well proportioned flat situated on the preferred second (top) floor of this three storey building benefits from open outlook to front and from being located within close proximity to a wide range of amenities including easy access to Glasgow and beyond via both motorway and railway networks. The property comprises entrance hallway, spacious lounge / dining area with access to balcony, fitted kitchen, two double sized bedrooms and bathroom with shower. The property benefits from audio controlled entry system, Upvc double glazing, gas central heating, communal gardens to rear and both residents parking facilities to the front and rear of the property.